Laser Therapy is an advanced, non-invasive modality for the treatment of nerve, muscle and joint disorders. 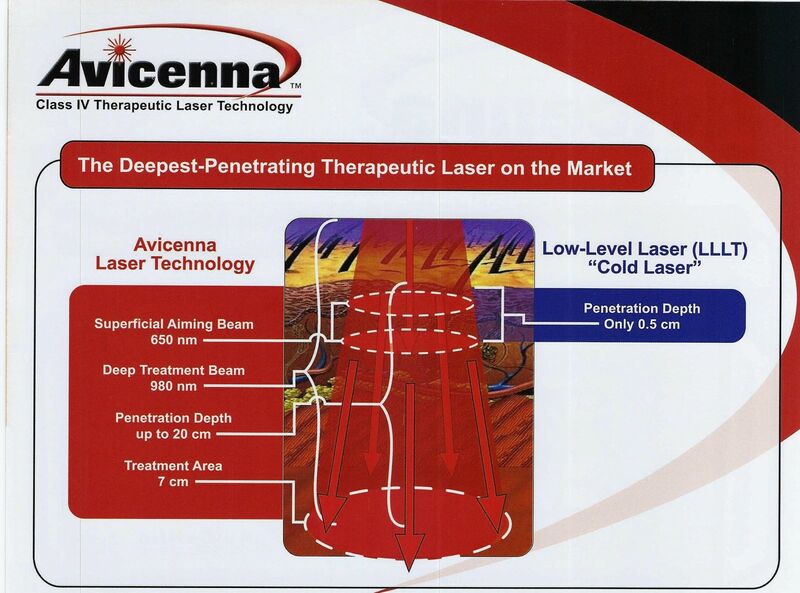 Therapeutic lasers heal tissue ailments by injecting laser light energy deep into tissue structures. This energy is utilized by the body on a cellular level to significantly accelerate any healing process and reduce pain naturally. In combination with its remarkable analgesic and anti-inflammatory effects, Laser Therapy induces faster wound healing and reduction of scar tissue formation following tissue damage from trauma or surgery. New patients are seen promptly and in most cases the same day. Evening and weekend appointments are available. Consultations are always complimentary. Talk to us to see if this revolutionary pain management therapy is right for you!